Opera Orlando is delighted to invite you to our 3rd Annual Gala Celebration held in honor of founding members, Kathy and Steve Miller: Una Serenata Italiana! (An Italian Serenade!) at the elegant Alfond Inn at Rollins College (300 E New England Ave, Winter Park, FL 32789). The evening of Friday, April 20 will long be cherished for its spectacular music, beautiful setting, and sumptuous gourmet cuisine. Hosted by the Orlando Sentinel’s “Taking Names” columnist Scott Maxwell, the “Menu” includes a nationally-renowned operatic quartet including Opera Orlando favorite soprano Bridgette Gan and up-and-coming baritone Scott Johnson, accompanied by redoubtable pianist Robin Stamper; a silent auction, impromptu serenades, a video tribute to our guests of honor, a champagne toast, and fabulous food. No one throws a party like the Opera! Opera Orlando is offering special perks to our corporate sponsors for this event. 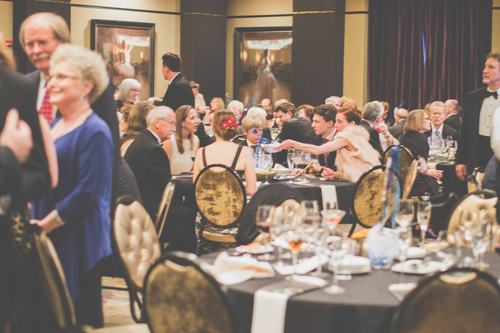 Purchase a table of eight at one of our 3 tiers (Rossini/ Verdi/Puccini) and enjoy season tickets, advertising, and more... Click HERE for more info about Corporate Tables. Photos from 2016 & 2017 Galas! THANK YOU TO OUR 2018 Gala SPONSORS FOR THEIR AMAZING SUPPORT!